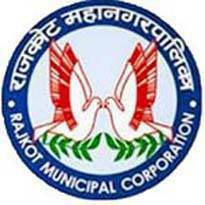 Rajkot Municipal Corporation (RMC), Rajkot Published Recruitment Notification for Project Coordinator and Municipal Civil Engineer Posts. View More Information like Total Posts, Posts Name, Age Limit, Qualification, Salary, How to Apply etc.. are Given Below. Project Coordinator : Degree in Commerce or Computer Field with First Class. Basic Knowledge of Office Automation. Command Over Data Entry in Both English & Gujarati. Ability to Work with, Motivate / Train Govt Staff. Municipal Civil Engineer : Diploma in Civil Engineering. Minimum 3 years of Experience in Procurement, Design, and Supervision of Housing / Infrastructure Works. Ability to Assist RMC to Set Standards and Procedures for Ensuring Quality and Monitoring Compliances. Prior Experience as Municipal Engineer will be an Added Advantage. Fluency in Local Language Essential. Address : Rajkot Municipal Corporation, Krishna Nagar Civic Center, Near Guruprasad Chowk, Doshi Hospital Road, Rajkot - 360004.